One of the biggest funerary decisions is where someone should be laid to rest. This location will be the final stop on their Earthly journey and be the place where family and friends will come to pay respects and visit. Finding the perfect memorial park which offers the look, atmosphere and interment options desired at a price one can afford is important. Facilities such as these do not cater so much to casket burials as cemeteries do, but rather towards housing those who have opted for cremation. Started just under a hundred years ago, their popularity is increasing regularly. Two big factors to their appeal are their beautiful design features and the flexibility in choices offered. They are known for their incredibly attractive landscaping designs. The expansive manicured lawns, winding lanes, strategically placed flower beds, luscious trees, statuary, buildings and maybe even a pond fill the facility's land. This combination welcomes guests and gives comfort that their loved ones are surrounded by beauty. For those who wish to be cremated but still desire an in-ground interment, this can be accommodated in several creative ways. 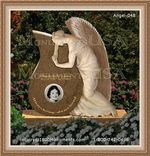 The holding container can be placed in an appropriately sized plot and covered with a personalized bronze plaque that lies flush with the lawn. One may also choose to have their marker placed on a bench or pedestal over their resting spot. 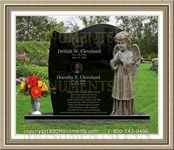 Anyone wishing to remain above ground may choose from a number of mausoleum or tomb designs. Sometimes these are made as walls, as single person crypts, or as buildings meant to house entire families. There form may be simple or ornate, with placement ranging from open area, within a fence or amid a beautifully lush garden. Facilities such as this offer eternal resting places that are welcoming to those who may wish to visit their loved ones interred within. The landscaping is intended to be both calming and inspiring. 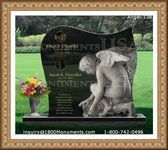 The structures which house the urns may be of multiple designs in order to suit the personal and financial needs of all clients.